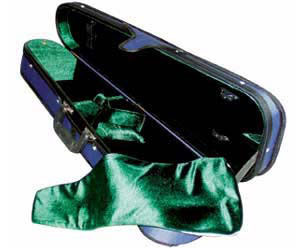 Inexpensive shaped violin case with blue weather resistant exterior and green velour interior. Features back pack straps, heavy duty YKK zip and clasp for closure. Also has two bow holders, accessories compartment, accessories pocket, blanket and neck restraint. 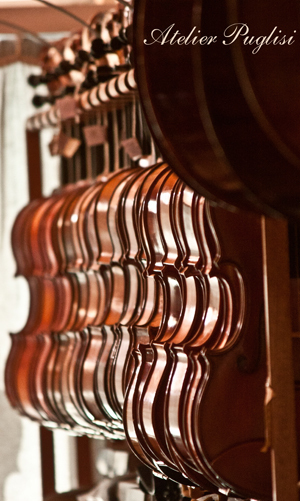 Available in 4/4 to 1/8 size.